Advanced technologies are taking people way ahead of time where unconnected travelling is transforming into a new world of connected transportation. Nowadays, vehicles are connected with Wi-Fi or sensors so that they can not only use internet connectivity but it can also guide in traffic and vehicle management. As of 2015, North America has successfully provided in-flight connectivity to over 3,000 aircrafts out of 5,500 commercial aircraft with the help of aircraft connection companies Gogo, Global Eagle, Thales/LiveTV, and Panasonic. Internet of Things (IoT) is changing the vision of transportation and ensuring safety of people. Vehicles such as buses, trains, connected cars and planes are providing internet connectivity to deliver efficient services to the consumers. For instance, Paris launched Autolib which is an electric-car program in 2011. This program facilitates the drivers to select the public parking space and also to track the connected vehicles which are embedded with sensors using GPS tracker. Utilization of smart technologies with a concept to build up a smart city is fanatically expanding across the globe. Over 1 billion of connected things are installed across the globe under smart cities projects in 2015. Smart transportation is a part of smart city where smart infrastructures are providing a platform to implement connected vehicles. Rising urbanization and investments in smart cities is strengthening the market of smart transportation. Around USD 160 billion for smart cities solutions is invested by the US Department of Transportation in 2016. These projects are intending to provide better parking and traffic management with the aim of pedestrian and driver’s safety. Key industry players are also participating in accelerating the deployment of innovative and advance transportation systems, globally. Cubic Corporation merged with a German transportation company EssenerVerkehrs-AG to go for pilot trial of NextAgent Solution in March 2016. NextAgent system is a transport ticketing vending machine which can interact with customer linking video call. 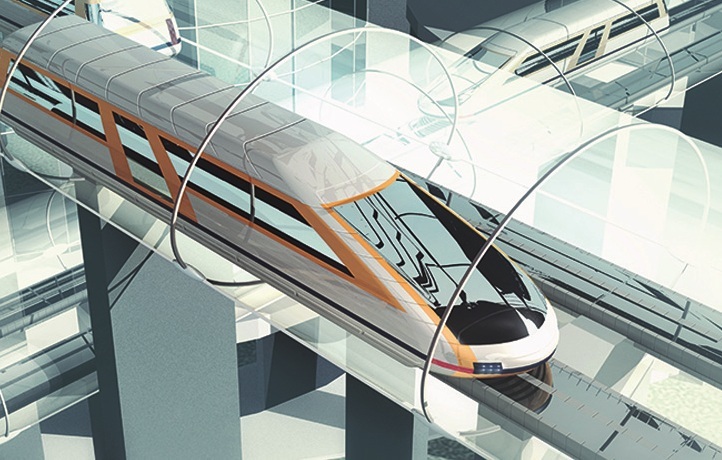 Whereas, Alstom, France based transportation solution company, is contributing in progression of rail transportation by providing advance solutions for metro and high speed trains. Top market players are targeting to launch new products and adopting strategic investments through acquisitions partnerships, which raise the competition in transportation industry. This competitiveness in business is likely to drive smart transportation market during the forecast period i.e. 2016-2024. In 2016, Panasonic partnered with Colorado Department of Transportation (CDOT) to launch a connected vehicle program which can improve the mobility management and road safety. World wide acceptance of cloud based technologies and solutions are advancing the smart transportation technology. Automotive industry is adopting cloud technology for navigation, infotainment, social connection etc. Moreover, storage of data is enhancing the qualitative analysis of current transportation infrastructure and helps in implementation of smart technologies. The market of smart transportation business is driven due to upsurge in the demand for improvement in public transport facilities and safety. High penetration of connected cars is transforming the automotive industry by its high efficiency, productivity and safety. Emerging trend of smart technology is boosting the acceptance of smart vehicles. The global smart transportation market is projected to reach a market size of USD 251.40 billion by 2024, growing at a CAGR of 16.75% from 2016 to 2024. Smart parking market is projected to grow at a CAGR of 10.9% during the forecast period, to reach a market value of USD 6.2 billion by the end of 2024. The demand of smart parking is increased due to huge traffic congestion and lack of parking space caused by increasing number of automobiles. Use of smart sensors and parking meters helps the drivers to check for free parking space and reserve it in advance. North America is the dominating region for smart transportation market and accounted for 43% of market share in 2016. U.S. federal government is immensely investing in smart cities projects. Road transportation is a major necessity of Canada. In 2015, over 30 million vehicles were registered in Canada. Increasing number of vehicles is driving the demand for smart cities and smart transportation in Canada. As per the study performed in 2015 by AT&T Drive Studio and Ericsson, around 80% of US and Canadian population are aware about connected cars. On the other hand, Europe and Asia-Pacific region are expected to witness remarkable growth in smart transportation market. Europe smart transportation market was valued at USD 23.29 billion in 2016 and is expected to reach nearly USD 100 billion over the forecast period i.e. 2016-2024. Growing number of auto sales in the United Kingdom and Germany is going to mount the connected car services in the region. Asia-Pacific region is anticipated to hold 24% share of global smart transportation market in 2024. Nearly 10% of total revenue of connected cars was generated from Japan and South Korea in 2016. Automakers such as BMW, Tesla, Toyota, Hyundai, Daimler etc. are adopting Bluetooth and WiFi technologies in their cars is impelling the adoption rate of connected cars in the region. Emerging economies such as China and India are also registering positive business opportunities for smart transportation in the region. Latin America and Middle East & Africa together are projected to hold approximately 5% share of smart transportation market in 2024. Number of auto-sale is increased in Brazil and Mexico from past few decades. However due to lack of efficient transport infrastructure and awareness among population is limiting the market for smart transportation in the region. Latin America smart transportation market accounted nearly USD 1.4 billion in 2016. Owing to the rising government investment for improvement and enhancement of transport infrastructure is expected to boost the market of smart transportation in Middle East & Africa region. Rising population and urbanization across the globe is increasing the need for improvement in public and private transportation system. Strong involvement of government in development of transportation facilities is increasing the investment on smart technology based projects. Smart transportation is ensuring safety of people as prior availability of traffic and speed related information is reducing the delay and number of accidents. Smart transportation is environment friendly and helps in keeping ecosystem clean and safe. A smart vehicle reduces the harmful vehicle emission which is a step towards safe environment. These are some of the key factors which are driving market for smart transportation across the globe. High initial investment in improving the infrastructures of existing transportation industry is obstructing the growth of smart transportation market. Improvement of existing roads or rail projects requires long time period which creates an obstacle for pedestrian and day to day communication gets affected. Long span of projects with huge financial investment are also a major challenge for the smart transportation market players. Complexity of infrastructure and limited availability of data which can monitor transportation system is restraining the adoption of smart technology in transportation industry. Lack of internet penetration in developing and under developed countries is a challenging factor to expand the market and increase the adoption rate of smart transportation.